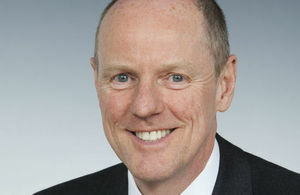 A select number of schools across the country will start trialling the multiplication tables check from next month, the Schools Standards Minister Nick Gibb has announced today (Wednesday 14 February). The multiplication tables check is designed to help ensure children in primary school know their times tables up to 12 off by heart. As well as being critical for everyday life, knowledge of multiplication tables helps children to solve problems quickly and flexibly, and allows them to tackle more complex mathematics later on in school. In the primary assessment consultation run by the government last year, the majority of the sector said that Year 4 would be the best point to run a check on progress being made. The check follows the successful introduction of the phonics screening check in 2012. There are now 154,000 more six-year-olds on track to become fluent readers than in 2012 and England’s recent rise up the international PIRLS rankings puts the success of the government’s reforms on a global scale. "Academic standards are rising in our schools thanks to our reforms and the hard work of teachers, with 1.9 million more pupils in schools rated good or outstanding than in 2010. It is important to have an assessment system that continues to drive this improvement. "Just as the phonics screening check helps children who are learning to read, the multiplication tables check will help teachers identify those pupils who require extra support. This will ensure that all pupils leave primary school knowing their times tables by heart and able to start secondary school with a secure grasp of fundamental arithmetic as a foundation for mathematics." The new on-screen check will last no longer than five minutes and is similar to the checks many schools use already. It will enable teachers to monitor a child’s progress in a consistent and reliable way but has been carefully designed to avoid causing additional stress for children and teachers. It will be sat by 8 and 9 year olds in Year 4, after teachers and schools told the Government this was the best point for it to be introduced. Results from the check will not be published at school-level, and will not be used by Ofsted and others to force changes in schools. The system is being developed in active partnership with schools, with two trials already completed. This consolidation of basic mathematical knowledge is in line with the principle of the maths ‘mastery’ pedagogy, which is successfully practised by world leaders in mathematics, Shanghai and Singapore and is now being introduced to schools in England. In the most recent Trends in International Mathematics and Science Study (TIMSS), England’s mean score was 546, compared to Singapore which scored 618, topping the study for maths at both year 5 and 9. Approaches like this aim to close that gap and raise national standards in mathematics. The multiplication tables check was announced as part of the government’s response to its primary assessment consultation last year. This consultation proposed a number of other changes to make assessment in primary schools more accurate and reduce the burden of tests on teachers and children. This trial comes ahead of the national voluntary roll out of the multiplication tables check for all Year 4 pupils from June 2019, before it becomes mandatory in June 2020. A national sample of schools has already been selected to participate in the trials and they will soon receive their invitation to participate. The trials will ensure the check is robust, accessible and minimises any additional burden on schools as a new assessment. The trials follow a recent commitment from the Education Secretary to continue to improve academic standards in order to deliver a truly world-class education that not only inspires young people to make the most of their lives but also gives them the opportunity to fulfil their ambitions, no matter where they live. Multiplication tables trials will make a positive contribution to the government’s commitment through the Industrial Strategy to drive up the study of maths, ensuring that more students leave education at age 18 with a basic level of numeracy, improving the take up of maths qualifications and tackling STEM skills shortages in the economy.